Pets are excellent practice for parents-to-be, as they depend on their caretakers for food, safety, snuggles, and the discarding of their bodily wastes. Also like children, you get to put your own personal branding on them by naming them! Once you decide to take the plunge and expand your family with the addition of a tiny human and begin to dream of adorable baby-dog-cat photoshoots, it’s important to remember that your pets may take some time to adjust to the new environment and routine that comes with a new baby. Need a few pointers on how to go about introducing baby to pets? You’ve come to the right place! Note: I’m a cat and dog woman myself, so if you have ferrets, chinchillas, parrots, snakes, or any other furry (or not-so-furry) friends, please be sure to find resources specific to your needs. Firstly, try to create opportunities to observe your pet interacting with young children and watch for signs of friendliness as well as discomfort or stress. These can look different for cats and dogs, so be sure to know for what to look out. If your pet shows signs of stress, or avoids the child altogether, you may need practice exposing him and employ some tools to help him feel more comfortable. There are a lot of different products out there to help with this—I prefer Feliway for cats, which produces artificial calming pheromones, and Thunder Shirts, a calming vest, for dogs. These tools are most effective if used for some time before the baby’s arrival – maybe a month or two – so they are used to them. Your vet is also a wonderful resource and may have some recommendations. This next tip is specifically for dog owners: even if you don’t notice any visible signs of stress, it might still be a good idea to refresh (or implement) some basic obedience training so that you can set expectations and sharpen his or her ability to tune in to you when needed (giving you his or her attention, including eye contact, and responding to verbal commands). Once baby comes home, positive reinforcement techniques such as using small treats to reward gentle interactions with baby creates a happy association with the new addition. Note: Generally speaking, cats will not respond to obedience training, though your efforts will be an amusing diversion for them. However, they may respond to positive reinforcement, so stock up on kitty’s favorite num-nums. Once your wee one is born, you will notice that she has a wonderful, intoxicating smell that makes that 3 hours of sleep you got last night completely worth it. Whether or not your pet agrees that this smell is wonderful is unknown. 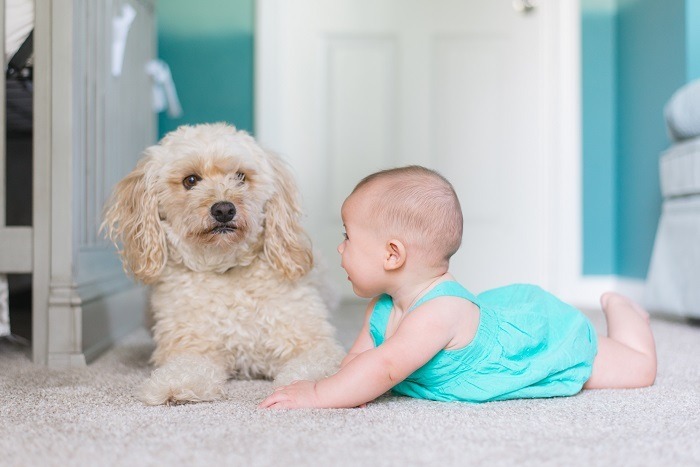 Regardless of Fluffy or Fido’s feelings toward new baby smell, it can be used to introduce the baby to your pet before she comes home. 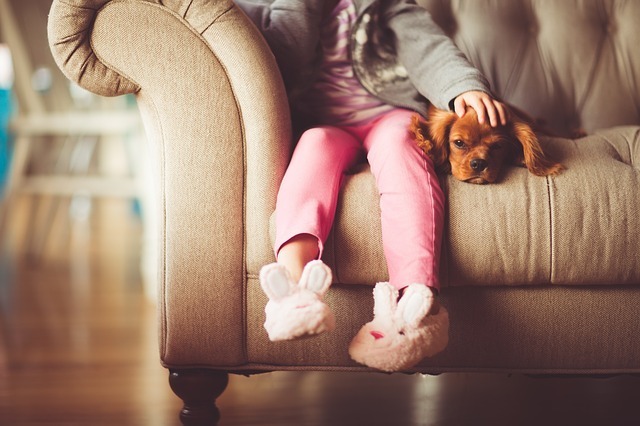 If your tot spent a few nights in the hospital, anything that your little one has worn or slept in can be brought into the home and left for your pet to investigate at his own pace—ideally, at least for a day or two. Hats, swaddles, or shirts are all wonderful options. Once baby is home, just like you, your pet will need time to adjust. He will notice changes in your behaviors, including that you no longer sleep and that you now take photos of everything baby does instead of everything he does. Keeping up with regular walks and offering one-on-one attention every day will help your pet feel secure in the knowledge that he is still a priority in your life, even if he’s no longer numero uno 100% of the time anymore. If you currently spend a lot of time with your pet, you might consider tapering off in the weeks ahead of baby’s arrival so that he has time to gradually adjust to a little less you-time. Pets will need some time to adjust to the new schedule a baby brings – give it time and be patient! The final word is actually the first word: safety. Gates, crates, cat tree/condos, and beds exist to keep both babies and pets safe and happy. It’s important for pets to have a safe place that they can use as retreat. Make sure there is a comfortable spot for them that is easily accessible on each floor of your home. Note: a litter box does not count (your toilet is not your safe space, is it?). In addition to providing space for your pets, it’s equally important that you have the ability to restrict their movements when needed. For example, it’s wise to restrict pets from baby’s sleeping area since babies, while awesomely snuggly, should not sleep with pets. 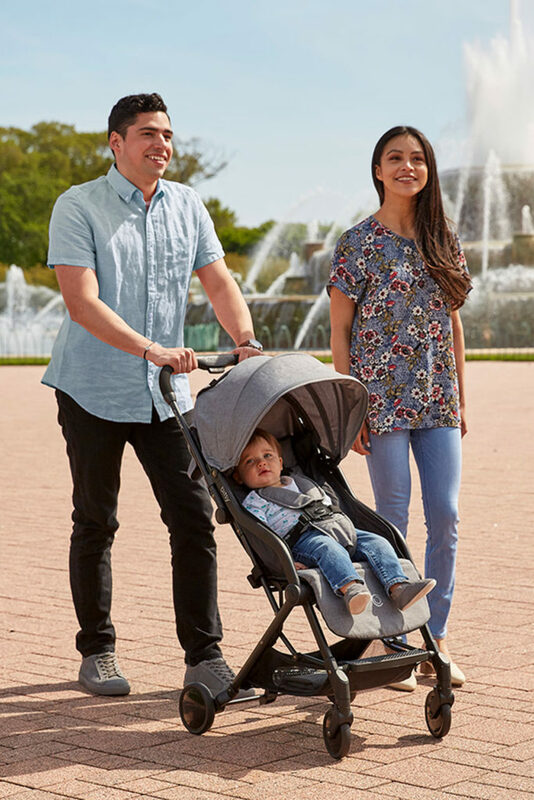 As your baby becomes more mobile and spends more time on the floor, safety will matter even more. Your tot will grab everything, and yes, many of those things will go into her mouth. Keep pet toys—especially anything that could fit through a toilet paper roll—out of reach to avoid any choking hazards or unfortunate saliva swaps. Lastly, but certainly not least: respect your pet. Not in a sassy Aretha Franklin way, but simply allow your pet’s limits to be what they are. Not all pets will love babies all the time, or even at any time. Despite what Internet listicles tell you, there are no breeds that are “great with kids!”—all dogs and cats are individuals with their own unique personalities and socialization histories. Encouraging gentle, kind interactions is wonderful. Pushing either the pet or baby to interact more so that you can get that perfect Instagram shot—and ignoring signs of discomfort in the process—is what can lead to injuries and households having to make very difficult, painful decisions. Pro-tip: even the most awesome Instagram shot is NOT worth a serious injury. There is no shortage of awesome-looking photos and videos of pets and babies having a grand old snuggly/ride-y/poke-y/costume-y time. Some pets are more tolerant of this stuff than others, but every animal has a limit and those limits need to be acknowledged and respected. If all goes well, you can look forward to your pride and joy bonding with your pet for years to come. However, if a pet develops new troubling behaviors, eating or eliminating habits, or simply seems not himself, contact your vet or a behaviorist as soon as possible. It may not always be as easy or seamless as you had hoped; however, there are interventions and resources available to help smooth the adjustment. In our house, one nanny-cat took to the job more than the other, and that was absolutely okay. Our bundle of joy doesn’t hold a grudge, but she would like to hold a cat, or those fascinating tails they have, very much. Good luck! You got this. Beth D. Rankin is a human- and pet-parent and lives in Park Ridge with her foxy husband. She has volunteered with Safe Humane Chicago’s Court Case Dog program at Chicago Animal Care and Control since 2010.